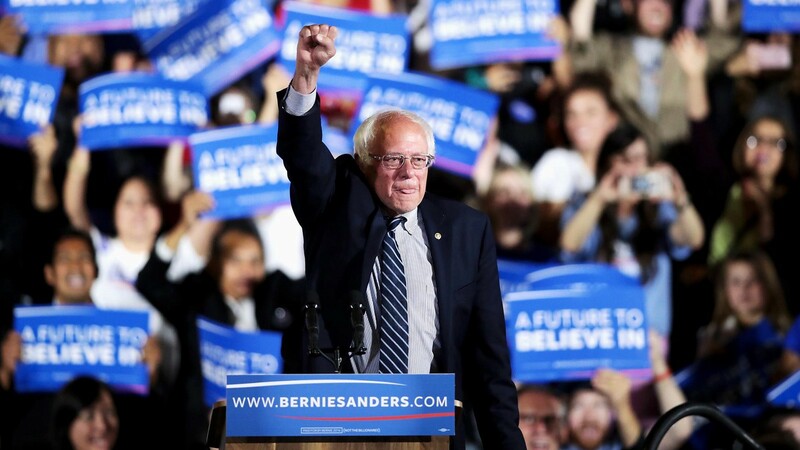 We have long speculated whether or not Bernie Sanders would run for President again in 2020, and now he officially is. During the interlude, I was unsure if I would even support him again myself, but when he declared his candidacy, I immediately knew in my heart that I still wanted to see him become President, and I have thrown in my lot with him and already donated $27. Here is why you should also join Team Bernie. For starters, he is the most consistently progressive politician in the current political era. Looking back decades, we find statements and footage of him expressing concerns over the power of corporations, over money in politics, over the rights of workers, and over a general vision of America that would make our country an equal playing field. No politician in Washington has walked the straight-and-narrow as much as he has. When he says his opinion on a matter, people believe him. There is no question of evasive answers because he has not been so unscrupulous that politics for him is like a game of dodgeball. This brings up the second point: that he can win. Why can he win? Well, his progressive credentials happen to make him very popular. Since the last election, he has consistently polled as the most popular politician in the country. He is often the only one to boast a net-positive favorability rating. What is key to understand is that Bernie did not fail to get the nomination in 2016 because he was unpopular. He failed to get it because his own supporters doubted how popular he really was. We have since learned the hard way that a safe vote for a mediocre candidate is not going to win against someone like Trump. Can anyone imagine Bernie losing Michigan or Wisconsin? I certainly cannot. Since people now understand that we might as well vote for what we want, this gives Bernie a lot of swinging power in a bid to oust the current President. The third point, I think, is the most fundamental of them all: Bernie is a real Democrat. Most other leaders, like the Clintons or Pelosi, are notional Democrats. They will talk about the high points of the party’s history and legacy, but if you put them in the same era as someone like Franklin D. Roosevelt, they would have probably been Republicans. Establishment Democrats will include mentions of the New Deal in a speech, while saying that Bernie is not a real Democrat as a matter of technicality. Bernie, meanwhile, actually wants to implement New Deal policies, to fight for the rights of the common man and to make our democracy more inclusive and grassroots. If the word “Democrat” is have to have any meaning, then we have to acknowledge him as the truest Democrat that we have seen in perhaps eighty years. Lastly, Bernie is not a perfect candidate. In fact, he is the imperfect candidate that I am willing to support. He is, by no means, a paragon of statesmanship. He is the guy with some forgivable flaws. By supporting him and acknowledging that he is not a messiah-like figure, we can hopefully make it clear that the McConnells, Ryans, and Trumps of the world are in fact unusually reckless and unqualified leaders. When just being good is likened to being divine, it skews our perceptions and can lead us to tolerate stuff that we otherwise would hate. That has to stop. I will post more about why to support Bernie as the campaign rolls along, but that is the long and short of it. He is honest and competent, and we have not had a President like that in a long time. Joe is an active Democrat and contrarian who discusses politics and social issues.